OREGON CITY -- A Clackamas County jury sent a clear signal Tuesday that parents who rely solely on faith healing to treat their children face prison if a child dies. Jeffrey and Marci Beagley were found guilty Tuesday of criminally negligent homicide in the death of their 16-year-old son, Neil. The boy died in June 2008 of complications from an undiagnosed congenital urinary blockage after his parents attempted to heal him with prayer, anointing with oil and laying on of hands. They are the first members of Oregon City's Followers of Christ church convicted of homicide in the congregation's long history of children dying from from treatable medical conditions. "This is a signal to the religious community that they should be on notice that their activities will be scrutinized," said Steven K. Green, director of Willamette University's Center for Religion and Democracy. Other prosecutors may be emboldened to take similar cases to court, the law professor said. Prosecutor Greg Horner asked that the Beagleys immediately be taken in to custody. Clackamas County Presiding Judge Steven L. Maurer denied the request, saying the Beagleys were not a flight risk or threat to the community. Friends and family reacted to the 10-2 verdicts with stunned silence. Marci Beagley hugged her mother in the courthouse lobby as both women wept. Other family members quietly stood by. The Beagleys will be sentenced Feb. 18. The maximum penalty for criminally negligent homicide is 10 years, but the Beagleys likely will receive no more than 18 months in prison and could be sentenced to probation. Steve Lindsey, who represented Marci Beagley, said he would recommend a "non-jail sentence" that would include probation and possibly other conditions, such as counseling, supervised medical care for the Beagleys' 16-year-old daughter, Kathryn, and cooperating with state child-welfare investigators. Lindsey said such a sentence could educate the Followers about their legal responsibilities as parents. As the verdict was read and the jury was polled on Tuesday, Marci Beagley and a few of the jurors cried. The strain of the nine-day trial was apparent. Jurors, with one exception, declined to speak with reporters. The Beagleys are considering their options and may file a appeal, said attorney Wayne Mackeson, who represented Jeffrey Beagley. "If conviction and a prison sentence meant they would get their son back, they would do that in a heartbeat," he told reporters gathered on the courthouse steps. Rita Swan, president of Children's Healthcare is a Legal Duty, an Iowa-based advocacy group, hailed the conviction as a victory for Oregon children. "I know the parents are broken-hearted. But love and good intentions are not all it takes to be a good parent," said Swan, who previously lobbied Oregon legislators to limit legal protection for parents involved in faith-healing deaths. The trial attracted national attention and was filmed gavel to gavel by TruTV for later release as a multi-part documentary on cable television. 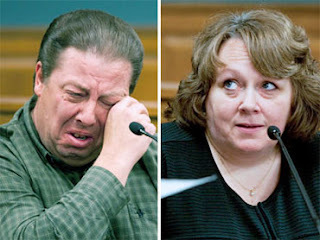 Prosecutors focused on the Beagleys' lifelong rejection of medical care and on a family dynamic that placed immense pressure on Neil Beagley to conform to his church's reliance on faith healing. They noted that Neil had limited contact with people outside his church who might have noticed health problems. He was home-schooled, and his social life did not extend beyond other church members. Defense attorneys presented jurors with a picture of a typical hard-working suburban family whose lives blended daily with the secular world. They showed the jury family pictures and videos of Neil growing up and depicted the Beagleys as part of the mainstream and anything but isolated and clannish. Three doctors testified for the defense, generally saying that Neil Beagley's symptoms wouldn't necessarily have appeared life-threatening. In his closing argument, prosecutor Greg Horner noted that the Beagleys would not take their son to a physician but relied on medical experts to defend their actions. It is "a rich irony," Horner said. Jurors were asked to consider whether the Beagleys' actions were "a gross deviation" from what a reasonable person would have done in a similar situation. The state did not have to prove that the Beagleys intended to cause Neil's death or that they knew he was going to die. Defense attorneys downplayed the religious aspects of the case while prosecutors said the law, faith and parental duties were inseparably bound. Neil Beagley "grew up in a world where medicine is weakness, faith is strength," prosecutor Steven Mygrant told jurors. Neil embraced the church's belief that seeking medical care shows a lack of faith. None of his relatives used doctors. And Neil was unable to make an informed health-care decision because he didn't know he was on the verge of death, prosecutors said. "For me, this case was not about faith healing and it was not a referendum on the church," Mackeson said. "It was about two parents who loved their son and did not know how sick he was." The jury agreed with Mackeson -- up to a point. The Beagleys are decent people who made a fatal mistake, said juror Robert Zegar. The couple should have known their son needed more than prayer, but they ignored warnings, including the death of another family member, Zegar said. Last summer, another jury found church members Raylene and Carl Brent Worthington not guilty of manslaughter in the death of their 15-month-old daughter, Ava. Raylene Worthington is the Beagley's daughter and Neil Beagley's sister. Carl Worthington was convicted on a lesser charge. Prosecutors successfully argued that they should be allowed to discuss the Worthington case because the Beagleys were present when Ava died. That pre-trial victory helped pave a path to Tuesday's guilty verdict. Maurer's decision to allow references to the Worthington case "was a very big difference," said attorney Mark Cogan, who represented Carl Worthington. "That was the biggest difference between the two trials." The Beagleys were at the Worthington home for 24 hours before Ava died. No one called for an ambulance or tried to revive the Ava when she stopped breathing. Neil Beagley died three and a half months later in similar circumstances. He became ill in March 2008 with a cold that developed into something Marci Beagley and other relatives believed could be life-threatening. The Beagleys treated him with faith healing but did not take him to a doctor. Neil recovered but got sick again in early June 2008. After a week or so, he became too weak to walk. Jeffrey Beagley had to carry him to the bathroom. Marci Beagley fed him in small meals, but Neil couldn't keep his food down. When he died, as with Ava Worthington, no one called 9-1-1.